Low carb, no carb, paleo and ketogenic living? You can find all the ketogenic supplements you need in one place, right here. 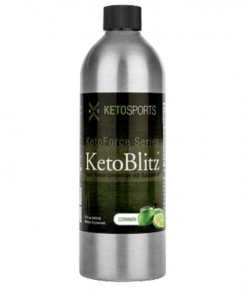 Bringing you the latest advancements in keto supplements to support your ketogenic lifestyle. Last Christmas, I wanted to buy my husband exogenous ketones—as he had been diagnosed with Epilepsy. Yet they were so hard to find here in the UK, either shipped from Europe or the US and if they were on sale on a UK site they were out of stock. Because of the difficulty in finding ketogenic supplements we decided to set up this website and source products from the US (mainly) so that people with an interest in low carb, no carb, paleo and ketogenic living could find all the supplements they need in one place. We have been living keto for some time now and noticed some incredible benefits. I personally have developed unbelievable endurance for running—I love sprinting and it’s phenomenal how much more power I now have—I just feel invincible. Before, when my body relied purely on glucose for energy, I would burn out so much faster. This has also meant that my body has not been breaking down muscle to provide energy. I have always been wary of diets that promote quick weight loss—when much of that loss is actually muscle tissue. There is nothing worse than exercising hard, eating healthily and losing all your hard earned muscle! I used to struggle to focus and feel famished all the time and constantly snack—food was always at the forefront of my thoughts—so distracting! Now, my focus has been switched back on. 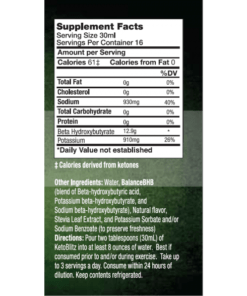 I see and think so much more clearly—ketones have certainly dispelled my brain fog! Furthermore, I can go hours without feeling hungry; I feel satisfied after meals and do not overeat anymore. I was a self-professed sugar addict and now I have no more sugar cravings—I never thought that would be possible! The ketogenic supplements and diet really has amazing and unexpected benefits—from the physical to the mental! The ketogenic diet involves consuming lots of healthy fats, moderate protein and very, very little carbohydrates. Forget the meat and two veg story that we’ve been told and we really don’t need to eat fruit! ‘One ketone in particular plays a starring role: beta-hydroxybutate (beta-HBA) serves as an exceptional fuel source for the brain…it helps reduce our dependence on gluconeogenesis and, therefore, preserves our muscle mass…we can avoid the breakdown of muscle mass for fuel and instead utilize our fat stores with the help of ketones like beta-HBA’. There is a reason why there are plenty of essential fats and no essential carbohydrates! By cutting your intake of carbohydrates and sugars, your body will go into ketosis after 2-3 weeks, or you can cheat by consuming beta-HBA, exogenous ketones (in stock), MCT Oil and C8 Oil to catalyse your transformation into a healthier, more focused and energetic version of yourself! What’s not to love about the ketogenic diet? Healthy high fat and delicious foods, phenomenal focus, increased energy and endurance, quicker fat metabolism…find out about more of the benefits of a ketogenic lifestyle here. And if you have any queries or questions at all about transitioning to the ketogenic diet or about any of the products listed on Keto Supplements, we would love to hear from you! We’re committed to sourcing and selling only the leading, tried and tested, ketogenic branded products that are backed by hard scientific evidence. We feel a strong responsibility to reduce our carbon footprint by reducing the amount packaging, and printed marketing material that we use. And of course we recycle. We will endeavour to source and stock all the latest and best ketogenic supplements and products and ship them direct to your door. If you have any questions, just check out our FAQs. We’re passionate about healthy ketogenic living and the latest developments in ketogenic science. We will regularly share ketogenic updates in our blog on new studies, resources, books, videos, podcasts and events.